There are hundreds of electric bikes on the market today all claiming to be able to offer an experience that is different to the rest – but a lot of them do not live up to that standard. 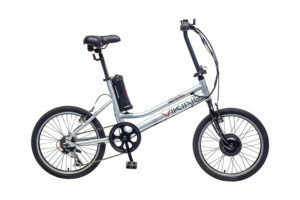 Viking is a well-known brand when it comes to electric bikes and if you are looking for one that is going to last a long time, but also provide you with the best experience, then the Easy Street Electric Bike (Learn More Here!) is currently one of the best electric bikes on the market. The price tag this electric bike is available at puts it in the affordable market when compared with its competitors, but thanks to all of its features and lightweight design, makes it more of a higher end product. This electric bikes lightweight design ensures this transportation is not only easy whilst riding, but also when storing away for later use. This particular electric bike has many features that not only makes riding fun but it also makes the whole experience unique. This electric bike is great for those looking to get to and from work without using too much energy, and with a range of 15 miles once fully charged, makes this electric bike well worth the money. Starting and stopping is done with ease thanks to the button on the handle bar, so if you feel like doing a bit of exercise or you are headed down hill, you can adjust the power to suit your needs. This electric bike was designed with transportation and storage in mind which is why its foldaway capabilities give it an added advantage over its competitors. Charging this electric bike can be done as soon as you are finished from work, as it only takes 2–3 hours to fully charge so you will not be waiting around in the morning when you are ready to go again. Lightweight design – This bike was designed to make transportation even easier, which is why it only weighs 22kg. Of course, even though this bike is easy to store away, it is still one of the most robust electric bikes on the market. Simple on/off pedal – This bike has a simple on/off pedal system that will allow you to turn on the electric system by the push of a button on the handlebar. This means that whenever you need a bit of a boost, or you want to turn off the electric whilst you are heading downhill, this feature will allow you to do that with ease. Quick charging time – This bike only takes a couple of hours to charge so you can either charge it whilst you are at home doing other duties, or whilst you are asleep so it’s ready for your journey in the morning. Once the bike is fully charged you will be able to travel up to 15 miles with in, meaning that most people can get to and from work with no problems. Simple foldaway – This bike can be folded away with ease and as it is a lightweight design, means it can be carried up the stairs for storage if need be. There aren’t many other bikes on the market that has all the features this one does and still consists of a lightweight design. Comfort – This bike was designed by Viking which is well-known for its comfortable electric bikes. This design comes equipped with a comfortable seat rest and nice grips on the handlebars that will keep you in control during movement. Adjustable handlebars – The handlebars at the front are able to cater for anybody’s needs thanks to their adjustable capabilities. Whether you are tall or short, you can be sure that with the adjustable handlebars you are always in control when travelling. The handlebars can be pushed up or down depending on the needs of the user. This electric bike by Viking is truly special in terms of the features it offers its consumers and its robust design. There isn’t a lot this bike can’t do and with other simple features such as the bottle opener and the easy grip handles makes it a strong competitor in the electric bike market. This bike is quick, sturdy, comfortable, and easy to use all in one, which is why it is one of the most popular electric bikes on the market. This electric bike was only released in 2015 but it has since become very popular, and consumers are still purchasing this bike over the many new releases in the market because it is much more affordable and offers everything the others do too. If you are on the lookout for a top quality electric bike, then you should definitely consider the Easy Street Electric Bike and all of the features it provides.